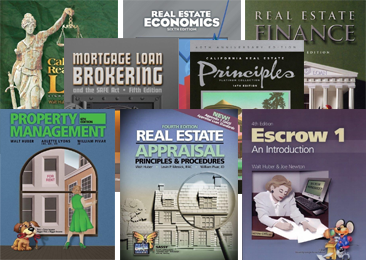 Premier's easy-to-use study manuals lead you through each textbook for quick completion of each course. In as little as 18 days per course. Finish and sell back your text(s) for $10.00 each! Remember you must take R.E.Principles and R.E.Practice plus a third course to fully qualify. Three mandatory courses and online access to practice exams for one year. Online Exam Kit at a Great Price. Three mandatory courses and Printed Prep, written and online access to practice exams. A great kit to get your license. Three mandatory courses and Printed Prep, CD & DVD Sets and online access to practice exams for one year. This is our deluxe package. THE BEST PROGRAM AVAILABLE ANYWHERE! Class room instruction at home or office 24/7 at your pace. Select a single course from the list. ©Copyright 2015-2019 | Premier Schools, Inc.